Museums are among the iconic buildings of the twenty-first century, as remarkable for their architectural diversity as for the variety of collections they display. But how does the architecture of museums affect our experience as visitors? 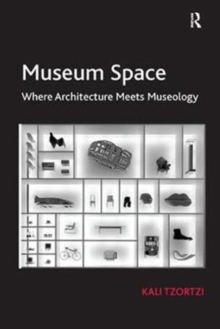 This book proposes that by seeing space as common ground between architecture and museology, and so between the museum building and its display, we can illuminate the individuality of each museum and the distinctive experience it offers - for example, how some museums create a sense of personal exploration, while others are more intensely didactic, and how the visit in some cases is transformed into a spatial experience and in other cases into a more social event. The book starts with an overview of the history of museum buildings and display strategies, and a discussion of theoretical and critical approaches. It then focuses on specific museums as in-depth case studies, and uses methods of spatial analysis to look at the key design choices available to architects and curators, and their effects on visitors' behaviour. 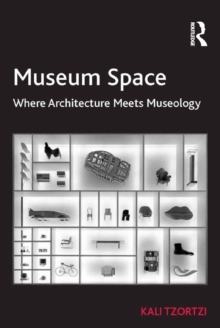 Theoretically grounded, methodologically original, and richly illustrated, this book will equip students, researchers and professionals in the fields of architecture, museum studies, curating, exhibition design, and cultural studies, with a guide for studying museums and a theoretical framework for their interpretation.